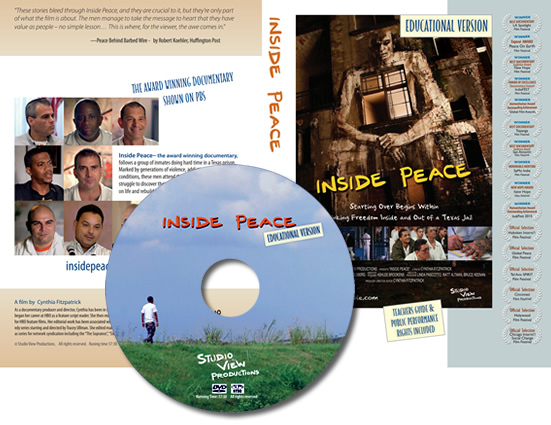 57:30 version of “Inside Peace” as presented by PBS television, includes special licensing, discussion topics, and access to 21-page (downloadable PDF) comprehensive classroom guide. A) Orders can only be shipped at this time to locations in Canada and the United States, including US territories served by the USPS. B) Materials will be shipped via USPS First-Class; appropriate postage will be added based on quantity and destination. Please allow up to 14 days to receive your order. C) A handling charge of $3 will be added to each order. D) State sales tax of 7.5% will be added to orders shipping to California. 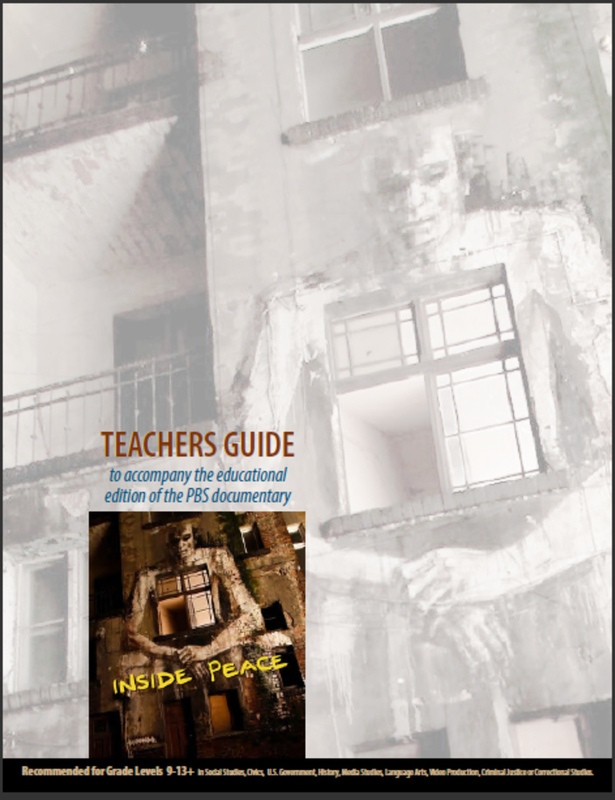 E) The teacher’s guide is a PDF file that you can view onscreen, download or print. The link to the file will be presented on-screen upon completion of your order and it will also be forwarded to you in an email. Please contact us if you have any problems with accessing this file. F) Credit card information is securely entered through PayPal when you checkout. A PayPal account is not required to complete your purchase with a major credit card. No payment information is collected through this website. G) DVD is licensed for private viewing only and may not be used for public presentation, even if no admission is charged.